Build of 82m² on a m² plot. 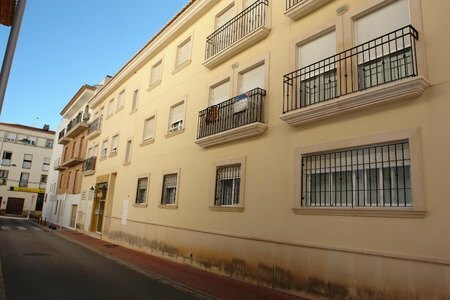 This 2 bedroom apartment for sale in Javea, built in 2006 is situated in the old town at walking distance to all amenities. The accommodation comprises of entrance hallway leading to all rooms, there are 2 bedrooms, a bathroom, cloakroom, lounge/diner and open plan kitchen.